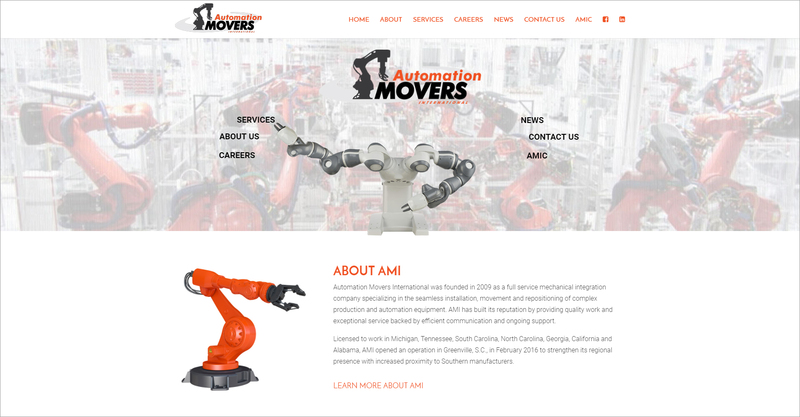 Automation Movers (AMI) is a company based in Flint, MI that specializes in the relocation of factory robotic equipment. They also have a subsidiary company (AMIC) that specialize in contractor placement and engineering. 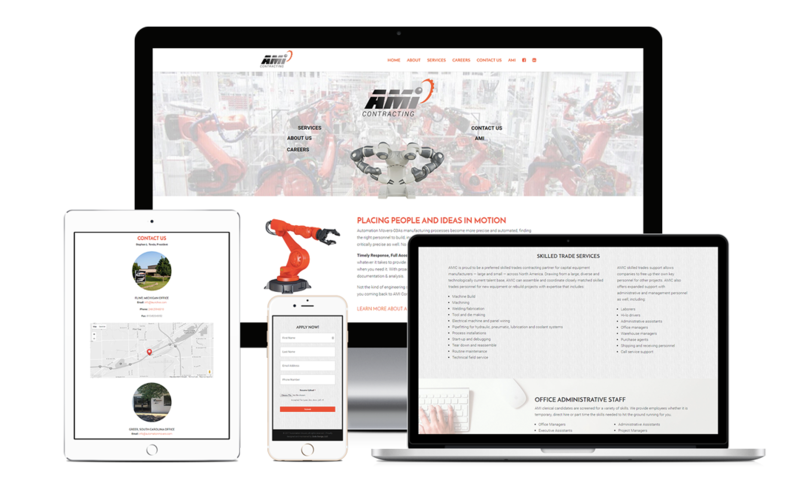 This project included websites for both AMI and AMIC. The sites were built on WordPress with the Divi theme from Elegant Themes. 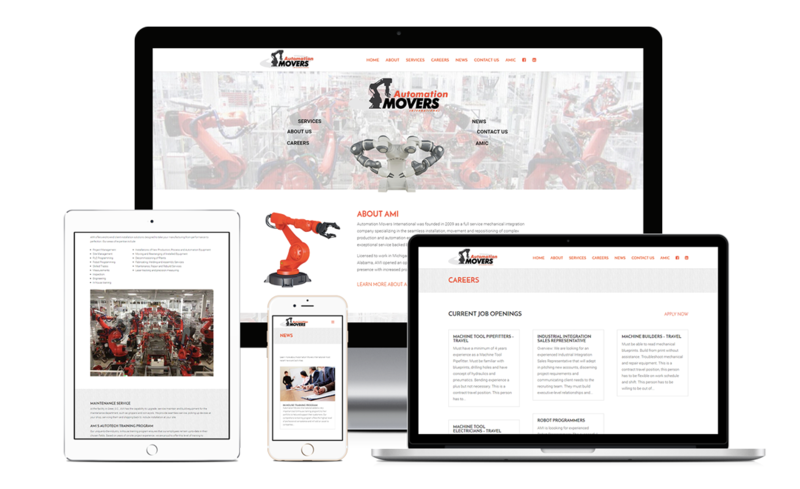 It featured a custom coded menu graphic, an online job application, social media integration, a blog, and a job postings page.